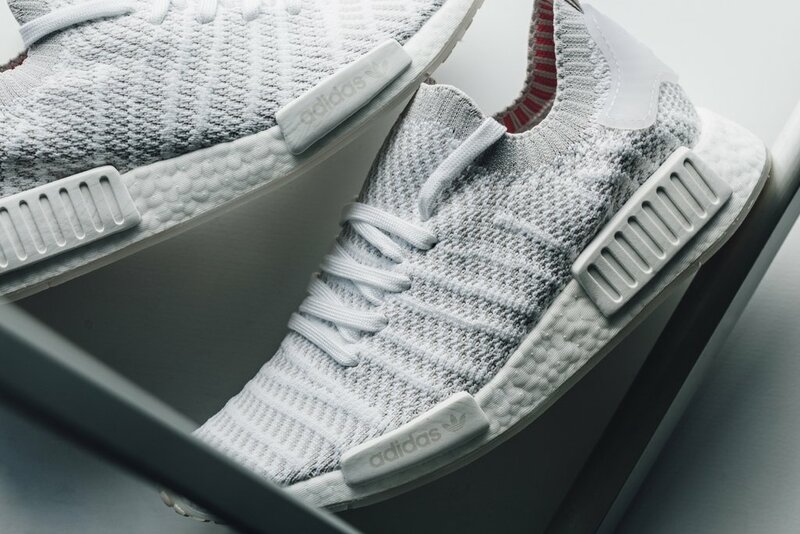 adidas NMD R1 STLT Primeknit "Flat White"
adidas prepares us for the warmer months ahead with its latest release, the adidas NMD_R1 STLT Primeknit in Flat White. 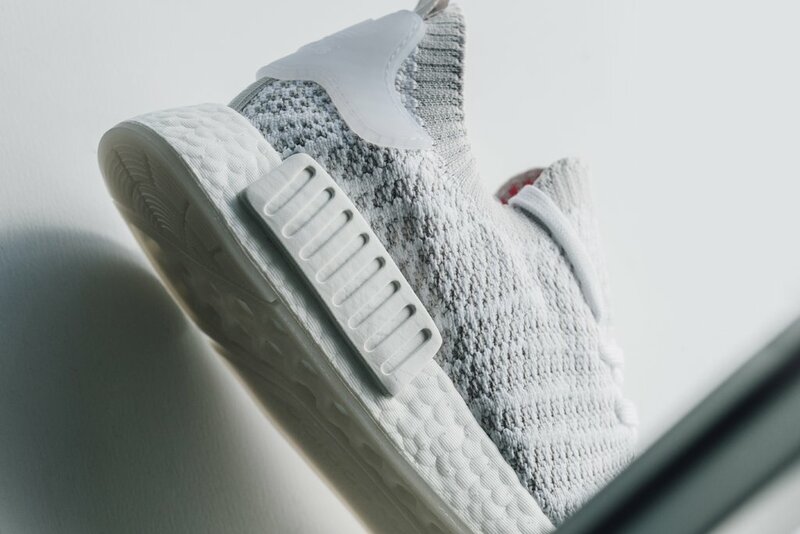 This adidas NMD_R1 STLT comes in a full White Primeknit upper with a sock-like collar that features Soft Pink accents. 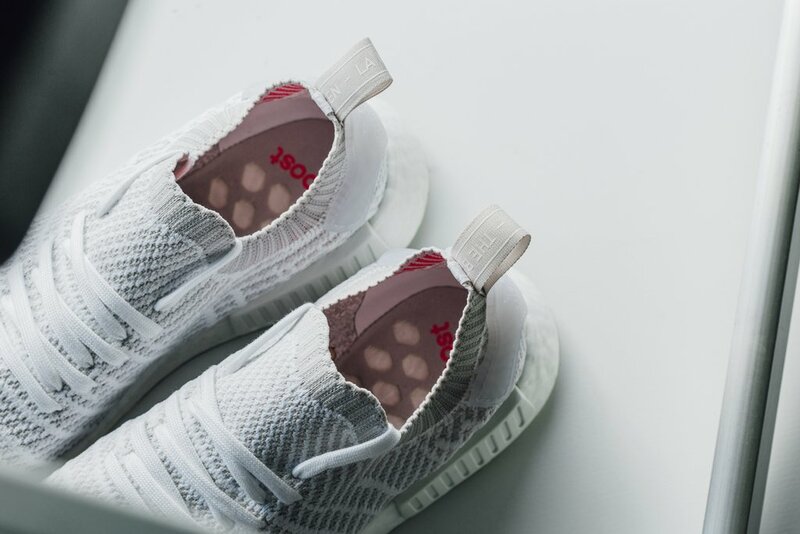 A White Boost midsole and grippy rubber outsole completes the silhouette. 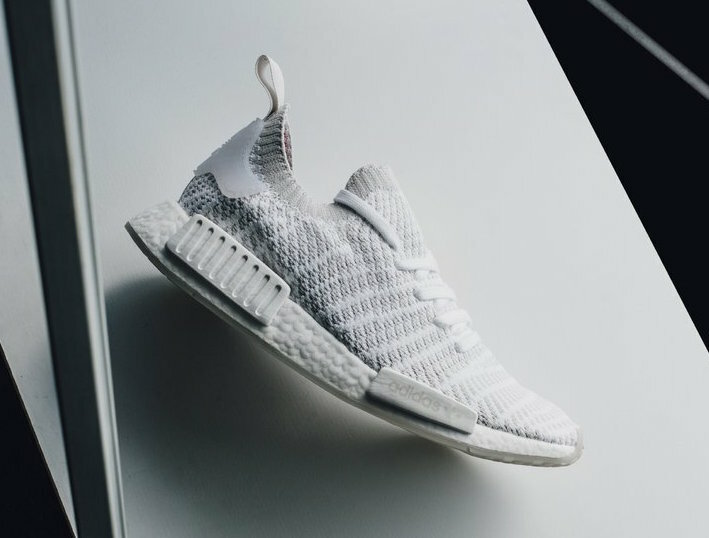 The adidas NMD R1 STLT Primeknit Flat White is now available at select retailers like Feature with the retail price tag of $170 USD.